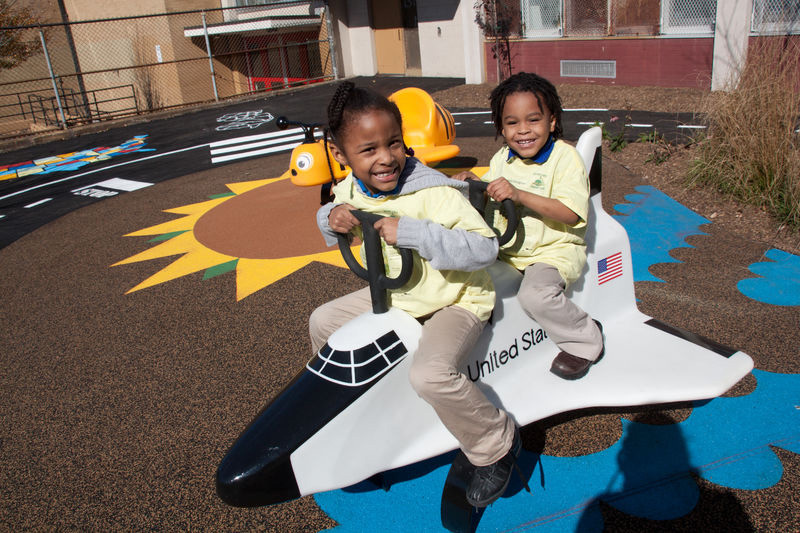 In 2000, The Trust for Public Land created a 35,000-square-foot playground at the Quitman Street Community School in Newark. Students, teachers, and parents participated in designing the playground, which now includes fun play equipment, basketball courts, a synthetic turf field, and a junior-sized running track for the first through eighth-grade children. The school's pre-K and kindergarteners now also can have their day at the park. Newark Public Schools tasked TPL with developing Quitman's smaller playground, at 13,500 square feet, into a thriving, interactive space that promotes exercise, learning, and exploration for the young students and neighborhood children. Completed in November 2011, the new playground includes play equipment for children aged two through five, a track for walking and tricycles, an outdoor classroom, performance space, raised vegetable beds, rain garden, new trees and plantings, and a ramp for accessibility, among other amenities.